It’s just that Tim Coulon had the sense to high tail it to Jim Letten’s office to spill his guts according to Gambitman. How many sleazy former politicians went to work for Adams and Reese or still have progeny there slopping at the taxpayer trough? I can think of 5 without trying hard. Click the pic to get the 14 page PDF. 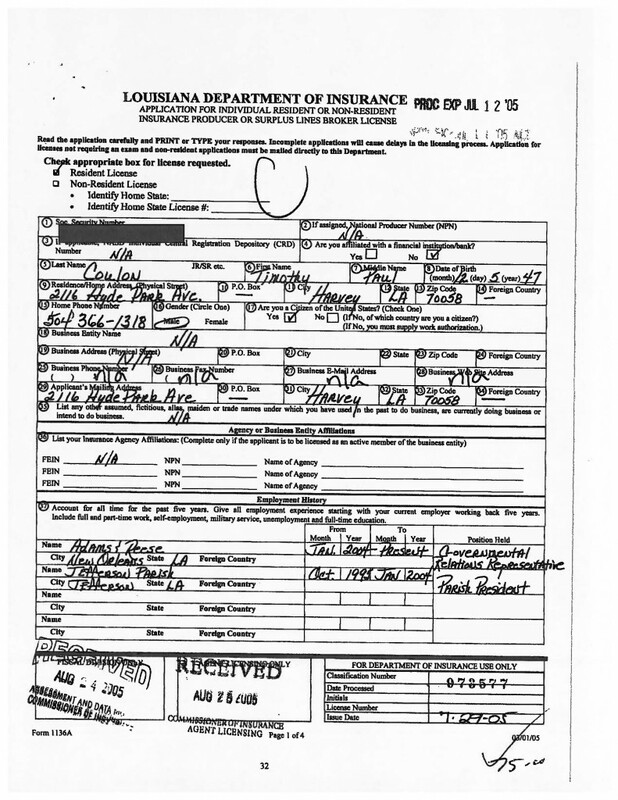 Now why would a gainfully employed former Parish President want to maintain an insurance agent license? Hmmmm. Can anyone help me here? My guess is so he could continue to legally receive his commissions. Previous Previous post: Its Halloween 2012 Wednesday Music!